Shelterbank is offering his Wonder Pink Edition sofubi via email lottery. 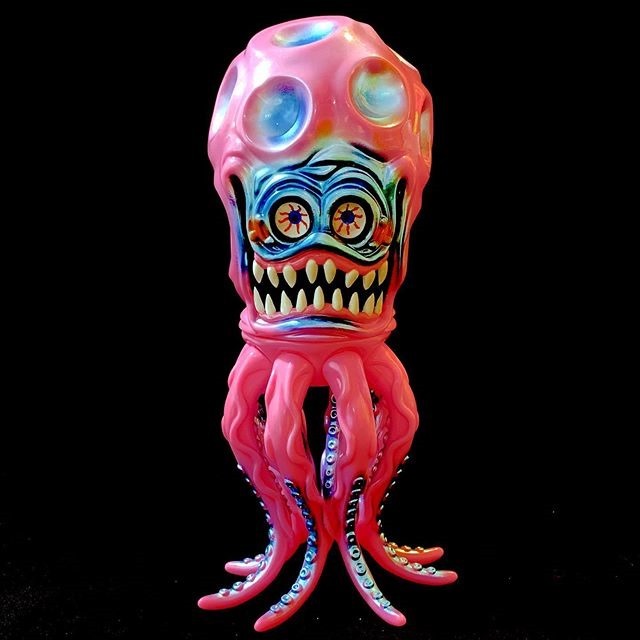 First released at Toy Soul Back in December, this edition of his octopus-inspired mutant features a pink + metallic blue design. The toy's clever design features removable legs that not only allow both standing and sitting poses, but also a variety of other alternate poses with a leg or two turned in a different direction. Wonder Pink Edition is available for ¥15,000 (~$137) via lottery now through the evening of the 27th Japan Time. To enter email [email protected] with the subject of ' Wonder Pink Ver.and be sure to include your name, mailing address, phone number, e-mail address, and your Instagram ID. Winners will receive email notification with payment instructions.